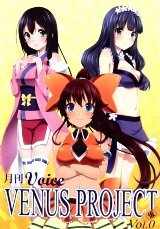 This CD contains audio drama, free talk, and some character songs for the TV anime Venus Project -Climax- and Venus Project games. 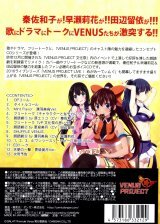 free talk "about the characters and women's power"
free talk "about the Venus Project Bunkasai"
Songs and talk by Hata Sawako (秦佐和子), Hayase Marika (早瀬莉花), Tanabe Rui (田辺留依). This CD comes in the rectangular DVD case instead of the square CD case. 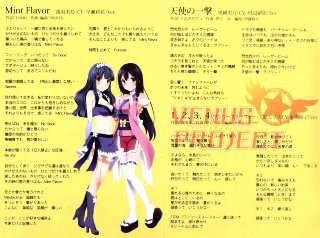 There is a two-sided color lyrics sheet inside, with some pictures of the Venus Project characters. 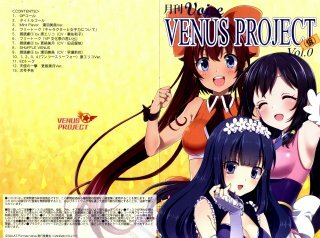 This CD went on sale at the Venus Project Megameeting event on April 2, 2016.